[C]amden is not hip, not reinventing itself, and not up-and-coming. That’s because it never down-and-went. The town nestled between a boat-filled harbor and steep granite-topped hills has long been secure in its identity as a yachty New England village. It’s also one of the most beautiful towns in the country. One might be tempted to dismiss Turner’s description as the romantic ramblings of a visitor, but Camden residents are equally enthusiastic. “Camden is the perfect conjunction of everything you’d want in a place to live,” says Kristen Lindquist, whose roots in Camden are two generations deep. “We’ve got lots of cultural things going on year-round. 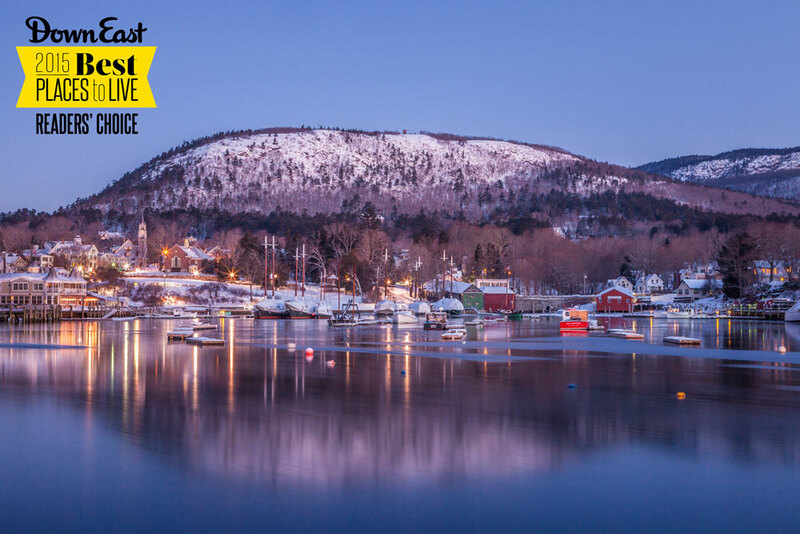 With the Camden Conference, PopTech, skiing at Camden Snow Bowl, festivals, and plays, winter sometimes seems busier than summer.” And if you want a dose of up-and-coming, Belfast and Rockland are just 15 minutes away. Some of the best dining in the country is found in and around Camden’s vibrant village — Natalie’s, Francine, Long Grain, and Primo have all received national recognition. Newcomers from urban areas might be unnerved at first by Camden’s small, tight-knit community. “It’s hard to be anonymous in this town,” Lindquist acknowledges, “but when you’re down on your luck, people knowing your business and offering support is a big thing.” You’ll know you’ve been accepted when the cashiers at French & Brawn greet you by name. The small grocery, which sells everything from salt pork to Chilean sea bass, has anchored the village for nearly 150 years. Next up: Hallowell: The Little Easy. Previous: Yarmouth: One smart town.